A tablet is a necessity for some, while simply a desire for others, but none can argue that tablets have witnessed an increase in popularity during the last couple of years. This is a great thing as they offer a good alternative to laptops and right now we have a huge variety of tablets using different platforms (Android, iOS, Windows and more). Near the end of this year, both Apple and Samsung showcased some of their latest and best tablets, meaning we have more to choose from. Obviously, both companies have done their homework and managed to actually deliver improved tablets (compared to the last year’s flagships) and we have three releases from Apple: iPad Air 2, iPad Pro and iPad Mini 4, and there are two releases from Samsung: a 8-inch Galaxy Tab S2 and a 9.7-inch Galaxy Tab S2. Now, there are a lot of persons that prefer a larger screen so they have more room for activities and more display to watch, but there are some people (myself included) that prefers a smaller screen on a tablet, meaning a better portability (especially for people who travel a lot). 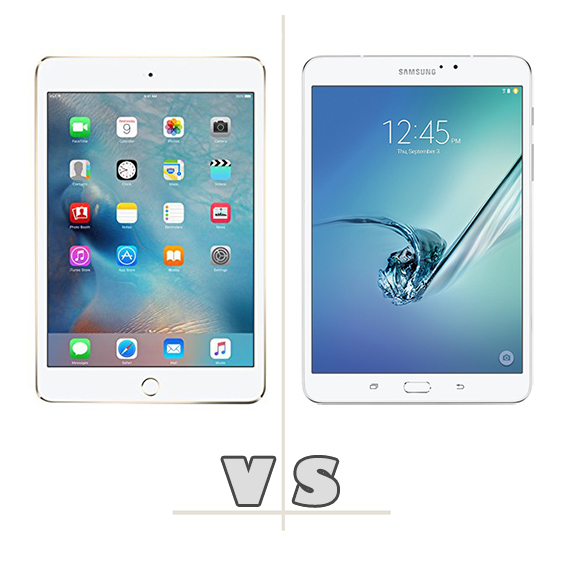 So here comes the enigma: should I buy an Apple iPad Mini 4 or the 8-inch Samsung Galaxy Tab S2? We know it’s a tough choice since they are so similar in both design and performance so we will try to spot their main similarities and differences and hopefully, we can see which is the best tablet. You can have a look at the full review of the Samsung Galaxy Tab S2 and the full review of the iPad Mini 4. 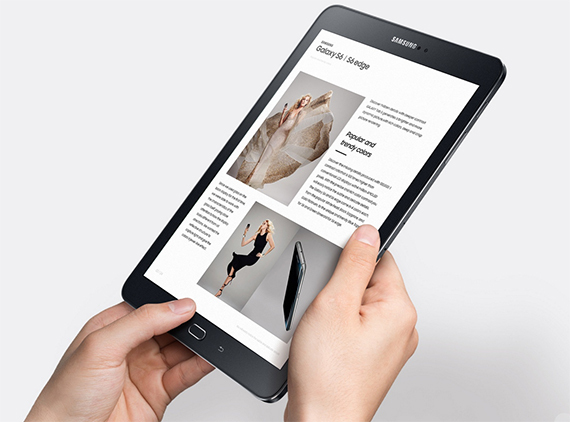 The Samsung Galaxy Tab S2 features a minimalistic design, with a matte finish on the back panel and a metallic frame around its edges. The chosen material for its back cover is plastic and the front is fully made of glass. 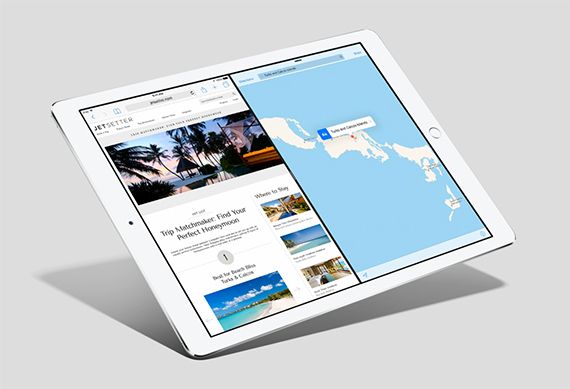 The iPad Mini 4, on the other hand, has an aluminium body and the front is also fully made of glass. It obvious that choosing metal and glass for the design is the better choice if you want to produce a premium looking device and the Apple Mini 4 looks better and more premium than the Samsung Galaxy Tab S2. But, Samsung had its reasons for choosing plastic over metal. It’s all about making the tablet as light as possible and the Tab S2 is truly easy to maneuver (also, some may argue that a plastic case could experience less damage if dropped than a metal and glass combo). It weighs 9.59 oz and measures 7.82×5.31×0.22 and you can easily hold the Tab S2 in one hand for long periods of time without experiencing fatigue or straining your wrist. The Mini 4′ back is made of metal so it’s obviously a bit heavier (but not by much, surprisingly), it weighs 10.4 ounces and measures 8.0×5.3×0.24. 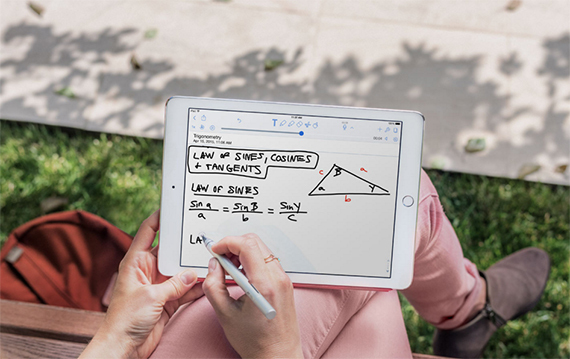 We’re certain that every ounce matters, so it may not be as easy to hold in one hand over a long period as the Tab S2. But bear in mind that the difference isn’t dramatic and the Mini 4 is still a reasonably lightweight tablet. Like said before, the front of the Galaxy Tab S2 is entirely made of glass, with a Home button (which also acts as a fingerprint scanner) at the lower side of the screen and two capacitive buttons on both sides of the Home button. The Mini 4’s front also features a Home button at the bottom and it also doubles as a fingerprint scanner. On its right side, there is the Power button and a 3.5mm headphone jack. At the bottom edge of the iPad Mini 4 you can find two speaker grills and the Lighting port. The Samsung Galaxy Tab S2 has the volume controller, Power button and a microSD slot on its right side and on the bottom there is a Micro-USB port, a 3.5mm headphone jack and two speakers. We have no idea why Apple doesn’t want to add microSD card slots, especially since most of their device have a base model with 16GB internal storage, but we really applaud Samsung’s decision to add one to its Tab S2 . Both devices come in three colours, the iPad Mini 4 can be silver, gold or space grey, while the Galaxy Tab S2 is available in gold, black or white. Verdict: From a purely design point of view, the iPad Mini 4 would definitely win, but we have consider other aspects, like portability and other features because they are a decision changer (Tab S2 is more light-weight and has a microSD card slot), making this round a tie. The iPad Mini 4 features a 7.9-inch IPS LCD Led-backlit display, with 16 million colours, a resolution of 2048×1536 pixels and a pixel density of 324 ppi. The Samsung Galaxy Tab S2 has quite similar specs, sporting a Quad HD AMOLED display, with a resolution of 2048x1536p pixels and a pixel density of 320 ppi. Samsung decided this year to change the aspect ratio to 4:3 so it will be better suited for web browsing (the Tab S has a different resolution and shape). Both the tablets have wide angles, the same resolution and there is a slight difference in pixel density, but this is all specs on paper. Let’s see how do these displays actually look in the real world. Well, the two tablets have almost the same display, with the AMOLED from Samsung having a very little advantage. The iPad Mini 4 has coverage of the full colour gamut, great grayscale accuracy, rich and accurate colours, with the Retina Display delivering clear, real-life colours. At the same time, the Galaxy Tab S2’s AMOLED display delivers deep black levels, a really high contrast and vibrant, vivid colours. How do these tablets behave under direct sunlight? Samsung Galaxy Tab S2 can reach a maximum of 419 nits and the Mini 4 can go to up to 412 nits. This means that both tablets are very bright and you won’t have any problem reading a book or watching a movie while on the beach. Verdict: It’s really a matter of taste. Both displays are phenomenal, the iPad Mini 4 focusing on clear, real-life colours, while the Samsung Galaxy Tab S2 delivers more vivid and vibrant colours. So, again, it’s a tie. Don’t be fooled by the thin case of the Samsung Galaxy Tab S2 because inside lies an octa-core Exynos 5433 CPU consisting of a quad-core Cortex A57 chip clocked at 1.9GHz and a quad-core Cortex A53 chip clocked at 1.3GHz. The chipset is backed by a Mali-T760 MP6 GPU, 3GB RAM, 32 or 64GB internal storage and up to 128GB thanks to the a microSD card slot. The Apple Mini 4 features an Apple A8 64-bit chipset (a dual-core Typhoon CPU clocked at 1.5GHz), backed by a PowerVR GX6450 quad-core GPU, 2GB RAM and 16, 64 or 128 GB internal storage. As said before there is no microSD slot. Running extensive 3D games was an easy task to accomplish by the Tab S2, Need for Speed Most Wanted or NOVA 3 launched quickly and ran smoothly (although there was a bit of stuttering during complex cutscenes) and multitasking was a breeze despite opening more than four heavy apps at the same time. The iPad Mini 4 also behaved really well with resource heavy games (it loaded quickly and ran without stutters) and although, most of the times multitasking was a smooth experience, it did struggle with more complex apps. In terms of connectivity, Galaxy Tab S2 features Bluetooth 4.1, GNSS, 802.11ac standard and 4G LTE (optional), while Mini 4 has Bluetooth 4.2, A2DP, EDR and 802.11ac WiFi standard. Verdict: The Apple Mini 4 is a capable tablet, but Samsung Galaxy Tab S2 is a bit better, handles multitasking a bit easier, has an extra 1GB of RAM and let’s not forget the microSD slot. So Samsung Galaxy Tab S2 wins this round. 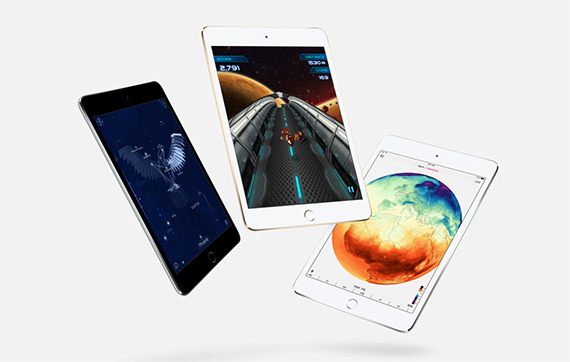 iPad Mini 4 features the latest iOS 9 Apple software and Samsung Galaxy Tab S2 runs the TouchWiz interface, built on the Android 5.1.1 Lollipop. Both Android and iOS are great pieces of software, excelling in their own direction and today we will not discuss which is better (is a subjective task). We will instead talk about multitasking and which OS runs smoother. The most interesting new features on the Mini 4’s software are the different ways of multitasking. 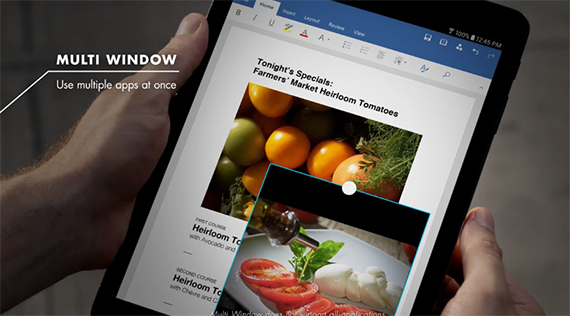 You can use Split View, Picture-in-picture and Slide Over. Activating these options is just a matter of swiping from the left of the screen and playing around with the small white bar between the apps. 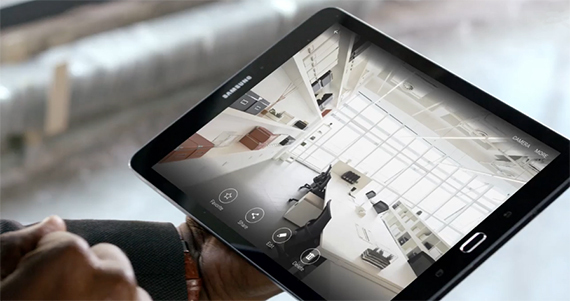 Samsung anticipated the use of multitasking on the new iPads and upgraded its TouchWiz with multitasking, a feature not yet present in Android Lollipop (Marshmallow does support Multi-Window). To activate the Tab S2 multitasking option all you have to do is tap the Recents key to open the app carousel (comprising every opened app) and you can switch between apps. To use the split screen option you have to tap the Split Screen icon, which is located next to the X on the top right corner of the app you wish to open (it will appear at the top half of the screen). Bellow you will see the carousel and you can tap the app that will run on the bottom half of the screen. Just like the white bar used for adjustments from the iPad Mini 4, you get a white dot at the edge between the two apps so you can resize the them however you like. Overall, both the Samsung TouchWiz and iOS 9 ran smoothly on their own tablets, multitasking was similar, but with their own particularities and, overall, the experience was enjoyable. All there is to do now is hope that both developers (Samsung, Apple) and third-party developers to use all these features when creating new apps. Verdict: As expected, it’s a tie. Samsung Galaxy Tab S2 has two cameras, a 8-megapixel rear camera (3264 x 2448 pixels and autofocus) and a front-facing 2.1-megapixel camera perfect for selfies. iPad Mini 4, on the other hand, features a 8-megapixel iSight rear camera (with a f/2.4 aperture and 1.12 µm pixel size) and a 1.2-megapixel front-facing camera. The rear camera on the S2 can capture sharp photos, with rich details, especially in good light. It also fares reasonably well indoors and in darker scenarios (photos had a noticeable amount of grain). The front camera works really great with video calls and if you decide to shoot photos, know that the camera was more than decent. The rear camera on the iPad Mini 4 shoots well exposed photos, with rich details and good colour rendering, all in good lighting. Indoors and in dark environments, pictures either get really noisy or indiscernible. 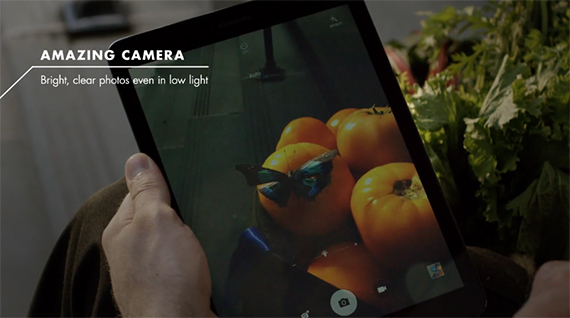 Both tablets lack a LED flash and it shows in the quality of photos captured in low light. Verdict: The real difference between the two rear cameras is the possibility to record 1440p videos at 30 fps with the Galaxy Tab S2, while with the Mini 4 you can only record 1080p videos at 30fps. This and the fact that the front-facing camera is simply better on the Tab S2, make the Samsung tablet the winner of this round. Battery life is extremely important when you own a tablet and, unfortunately, both the Mini 4 and the Tab S2 have suffered downgrades in this department. 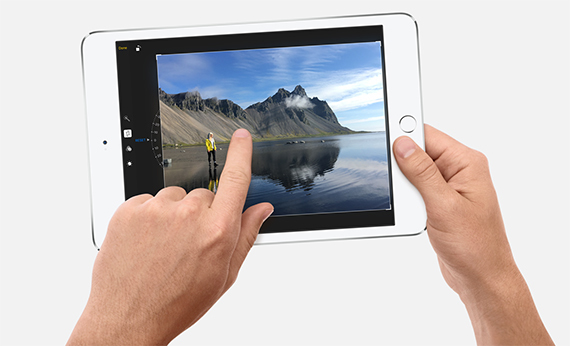 The iPad Mini 4 comes equipped with a Li-Ion 5124 mAh battery and, according to Apple, it should last up to 10 hours. We tested the tablet by looping a video at about 70% display brightness and the battery managed to deliver around 8 hours. A medium usage of the tablet should reach the promised 10 hours. The Samsung Galaxy Tab S2 has a non-removable 4000 mAh battery, which delivers up to 7 hours of video playback and 5 hours of light gaming. 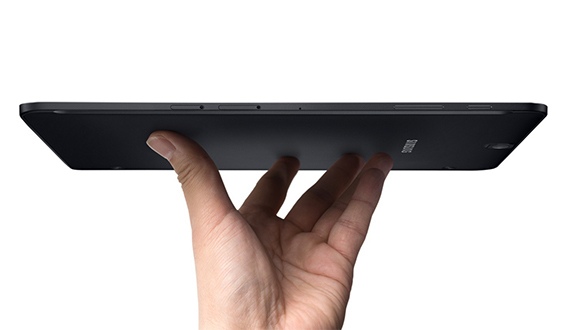 Note: None of the tablets feature wireless charging. Verdict: The Apple iPad Mini 4 has a better battery life than the Samsung Galaxy Tab S2, so the winner of this round is the Mini 4. It’s clear why this is a tough decision, since both devices are so similar in many ways. They both have similar displays and iOS 9 and TouchWiz have common features. But the design is a bit different, addressing a different type of customers (premium vs portability), the performance is a bit better for Tab S2 and it also has better specs and a better front-facing camera than the Mini 4. 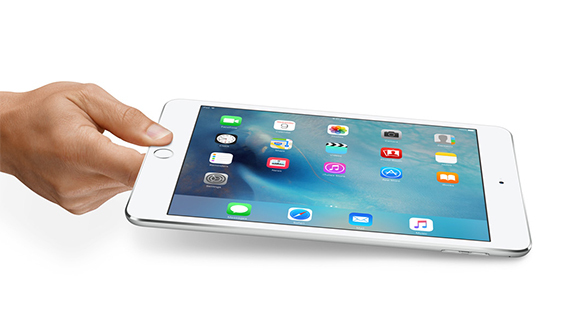 But, in terms of battery life, the iPad Mini 4 is better and this can be a deciding factor. So these are the differences between the iPad Mini 4 and Samsung Galaxy Tab S2. Both are great tablets and based on your needs, you can choose the best tablet suited for you.